Edited by eflake, Fri Jun 1, 2018 6:50 PM. That's not gonna work as-is. 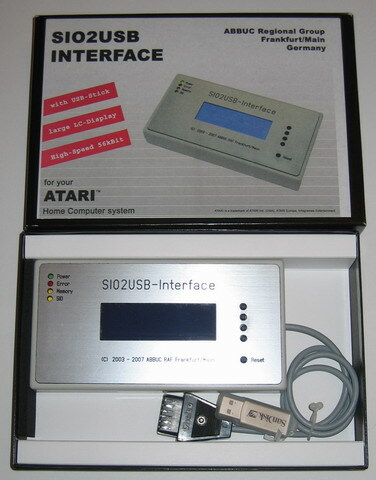 The Atari SIO protocol has no way to "talk" to a USB stick. However, there are any number of ways to connect the SIO port on your Atari to a modern PC, Mac, Linux box (including a Raspberry Pi) or an Arduino and accomplish the same thing. 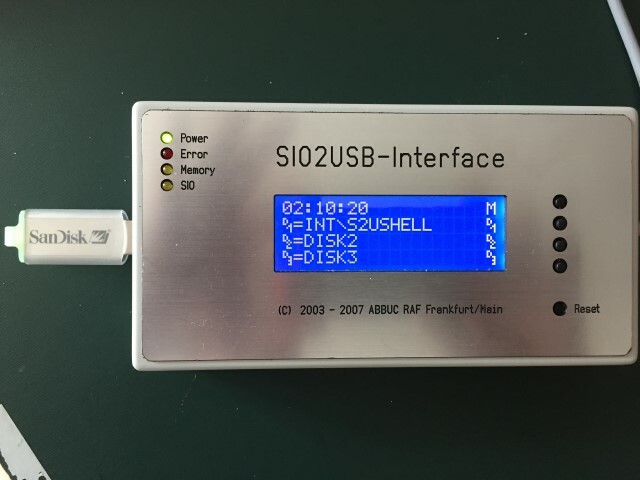 You can also buy an SIO2SD device (Lotharek in Poland sells them and there are units available on eBay) which will let you put files on an SD card, select them with a tiny display on the device and boot them on the Atari. Another option is a flash-memory cartridge (lots of possibilities there these days - there's a sticky thread in the main 8-bit forum that discusses current options). Some of those can handle .ATR disk images, .XEX executable files and/or .CAR cartridge rom images. 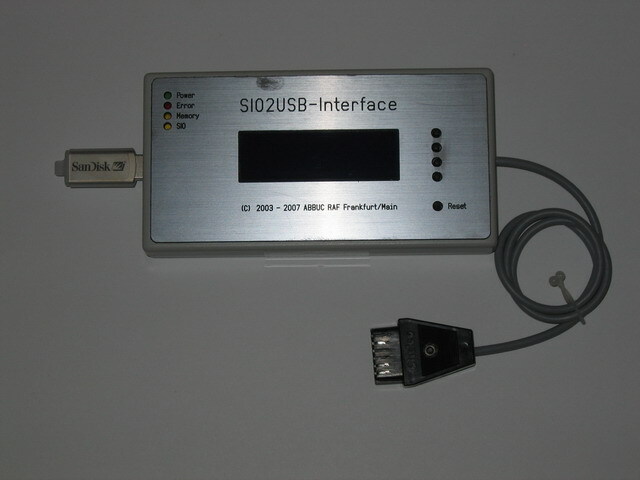 Eflake is talking about the SIO2USB, not the SIO2PCviaUSB. Well, what do you know. I've never heard of that one. Looks great. I was thrown off by his posting in the RespeQt subforum. I presumed he wanted to connect to a machine running RespeQt. Unless the OP is fixated on thumb drives, any of Herb's suggestions will work just as well, however. But how many of those are still actively supported by their developers? Edited by eflake, Sat Jun 2, 2018 11:06 AM.